Air Route Traffic Control Centers primarily serve aircraft flying under Instrument Flight Rules (IFR). In addition to managing IFR traffic, they also are the authority that issues IFR clearances. There are 20 ARTCCs in the conterminous United States, with the Seattle ARTCC  or more commonly, "Seattle Center"  handling IFR traffic in the Pacific Northwest. Salt Lake Center handles IFR traffic in the eastern third of Oregon, while Oakland Center controls IFR traffic in the northern half of California. While ARTCCs are not a primary Air Traffic Control resource for student pilots or flights flown under Visual Flight Rules (VFR), they do offer Radar Traffic Advisory Services to VFR flights, on a workload-available basis. This service also is known as "VFR Radar Advisory Service," "VFR Traffic Advisories," and (most commonly) "Flight Following." To request Flight Following when en route VFR, you will need to know the appropriate radio frequency to reach Center, or Air Traffic Control (ATC). 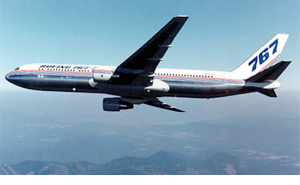 ARTCC frequencies can be found on low-altitude IFR enroute charts, but the best source of ARTCC frequencies you will use on a planned flight is a Flight Specialist, so be sure to ask when getting a briefing. If you want to contact Center while in flight and don't have a frequency, contact Flight Service first on the nearest RCO for assistance. You also can click here to open a new window with a map of Seattle Center's low-altitude (below FL240) sector-frequency chart. "Seattle Center, Skyhawk 20488 with request." "Skyhawk 20488, VFR, 2,600 feet level over Woodburn, departed Aurora State, landing Eugene, request traffic advisories." "Skyhawk 20488, squawk 12345 (and ident)." "Skyhawk 20488, radar contact 10 miles southeast of the Newberg VOR at 2,600 feet, altimeter two-niner-niner-two." Be sure to keep relatively silent in the cockpit while flying on radar  you will need to listen not only for traffic advisories, but also assigned frequency changes, or "handoffs." Too much chatter with your passengers and a missed handoff will leave you with an unhappy controller on the other end of the radio.
" or more simply "488, negative contact." The controller will continue to advise you until you have the traffic in sight or the traffic is clear of you. 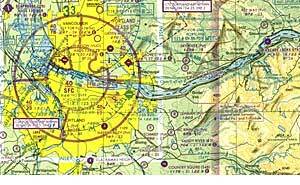 When flying within Portland's Class C airspace, flying on radar  whether VFR or IFR  is mandatory. This radar service is not handled by Seattle Center, but instead the Portland Terminal Radar Approach Control (TRACON), commonly referred to as "Portland Approach." The procedure to contact a TRACON is identical to contacting a Center for VFR Traffic Advisories  wait until the frequency is clear, state that you have a request, give your full information, and then squawk your assigned code. When flying northbound from Aurora State Airport, you will should contact Portland Approach for radar service, since the Aurora Airport is a reporting point for entering Portland's Airspace. Check the current Seattle VFR Sectional to determine the correct frequency before you leave the ground. In July 2010, we were pleased to welcome Portland TRACON Support Specialist Tracy Guinett and and Portland Tower/TRACON Operations Manager Scott Burk to one of our monthly seminars to discuss Class C operations. To get a look at the PowerPoint presentation from that event, click the "Download" button below and save the file (7.5 Mb) to your computer. (PowerPoint for PC or Mac required).